Not all light boxes are created equal. Retail and signage industries caught on to that fact years ago. Most companies made the switch from fluorescents to LEDs for improvements in quality of light, power consumption, and longevity. Nevertheless, selecting an LED light box has remained a balancing act. Even, Thin, Lightweight Light Boxes: Can you get all three? When choosing an LED light box, many purchasers have had to choose between even light output, low weight, and thin profiles. Until now, the slim depth and consistent light that came with LED panel backlighting also resulted in a light box that was heavier than some requirements allowed. Various lightweight LED solutions fixed that problem, but at the expense of light consistency. DLC has released two products that eliminate the need to compromise. We’re thrilled to say that light boxes can house clean, uniform lighting that is both slim and lightweight. 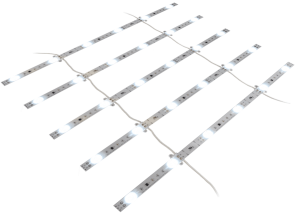 These latest innovations, LumiSheet Flex and LumiCurtain, provide high quality light output at a fraction of the weight. Read on to learn about how our new powerhouse products can work in your light boxes. 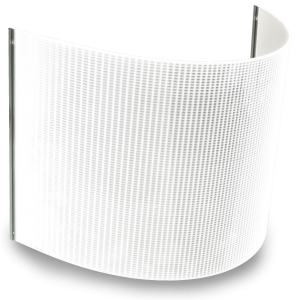 LumiSheet Flex offers the superior light of an LED panel at less than half the weight of traditional ones. This 2 mm LED light panel beautifully backlights fabric graphics, making them look crisp and bright. LumiSheet Flex is a great option for snap frames, as well, allowing super slim profiles. Quality is never sacrificed because LumiSheet Flex maintains the benefits of our original 8 mm LumiSheet. Namely, it has even light due to our patented v-cutting process. Our heat sink keeps color temperature and light output consistent over a longer lifespan. Weighs only 0.5 lbs / sq ft. This cutting-edge curtain smoothly backlights fabric light boxes from 2? in depth. It achieves hot-spot free illumination because of its unique diffusers that have a 170° beam spread. This bright and versatile product is a great option for custom shaped and curved light boxes. 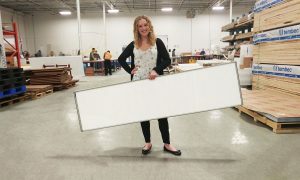 It is scalable to any size and is perfect for large format light boxes. Ask us about compressing and elongating cables for custom spacing between LED modules. Can be ordered single or double sided. Whether they’re in our LED light boxes or yours, LumiSheet Flex and LumiCurtain offer versatility that hits your requirements. 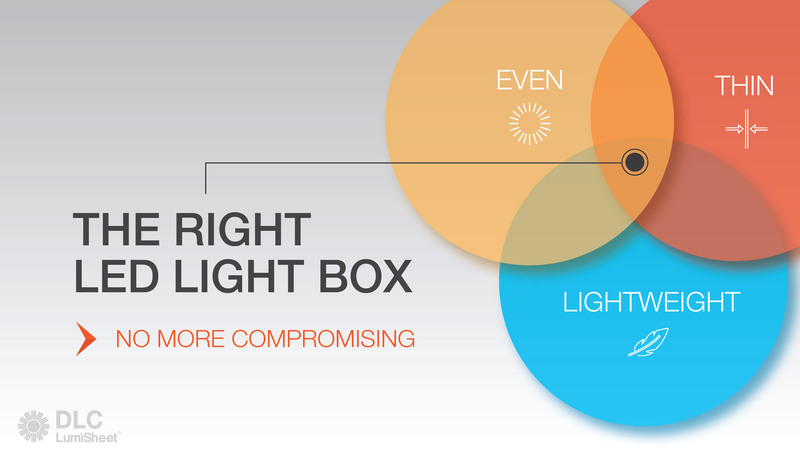 Ask us how we can help you achieve the right light box.